Wooding packing restrictions in international shipping, also known as ISPM 15 rules, apply to shipping of international ocean freight. ISPM 15 rules relate to prevent the spread of plant pests and diseases throughout the world, when shipping international ocean freight using packing materials and supply containing wood. These international shipping regulations have been originated by the International Plant Protection Convention (IPPC - https://www.ippc.int/). ISPM 15 rules apply to international shipping of ocean freight that contains wood-packaging material: wooden pallets, wooden crates, dunnages, drums, wood cases etc. ISPM 15 requires that all international ocean freight shipments using any species of raw wood packaging must be fumigated or heat treated, prior the international shipping, to kill insects or fungus. All wood-packing materials used in international shipping must be stamped with the approved by IPPC stamp, prior the international shipping. International ocean freight shipments that contain wood-packing materials will be checked in respect of compliance with the ISPM 15 regulations before to be allowed to enter to or crossing through a participating to IPPC country. 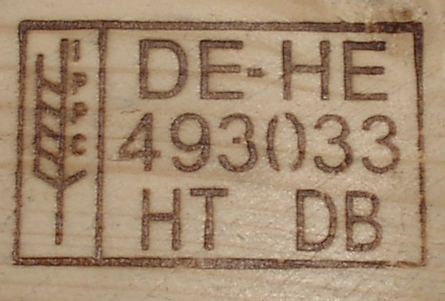 Below you can see samples of stamps on wooden pallets used used in international shipping that indicate the ISPM 15 rules compliance. United States of America participates to IPPC. ISPM 15 rules apply to all export and import from and to the USA supported either by international shipping companies (International Freight Forwarders, NVOCCs, VOCCs) or international moving companies. U.S. international shipping regulations require immediate re-export of non-compliant to ISPM 15 rule cargo with no exceptions. Professional international moving companies, when pack goods to the international shipping, must be aware of and comply with ISPM 15 rules. If an international moving company takes care of packing of your goods for your international ocean freight shipment from or to the USA, then always insure that your goods are properly in respect of compliance with ISPM 15 rules. Any problems, delays or/and increasing of international shipping cost will be the responsibility of shipper/consignee. 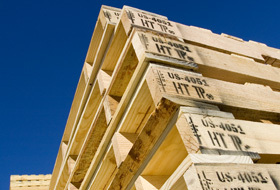 Avoid problems related to ISPM 15 rules in your international shipping. Think ahead. It is important to understand that basically the ISPM 15 rules regulate ONLY international shipping of freight that contains NON-MANUFACTURED WOOD PACKING MATERIALS (also called solid wood packing material or SWPM). 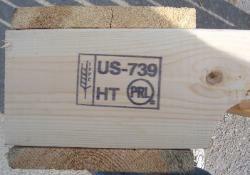 Non-manufactured wood packing materials in respect of international shipping using ocean freight services are defined as "wood packing other than that comprised wholly of wood-based products such as plywood, particle board, oriented strand board, veneer, wood wool, etc., which has been manufactured using glue, heat, and pressure or a combination thereof". The easiest way to avoid problems related to the ISPM 15 rules is just DO NOT USE NON-MANUFACTURED WOOD PACKING MATERIALS in your international shipping. 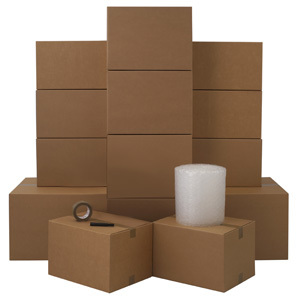 PACK YOUR CARGO WITH CARDBOARD, PLYWOOD, VENEER ETC ONLY or DO NOT USE WOOD IN YOUR PACKING AT ALL. USE PLASTIC SHIPPING SUPPLIES. 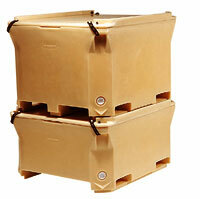 International shipping of goods packed in cardboard shipping boxes complies with ISPM 15 regulations. You may order cardboards shipping boxes for your international ocean freight shipment via our website in this link. Free delivery. 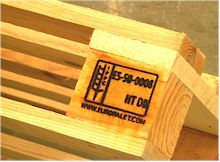 If you palletize your ocean freight, then use ONLY ISPM 15 certified and stamped wooden pallets and crates. Do not use any not-certified raw wood packing materials in your international shipping. Wood packaging supply, even wholly made of wood-based products, such as plywood, particle board, oriented strand board or veneer that have been created using glue, heat and pressure or a combination thereof should be considered sufficiently processed to have eliminated the risk associated with the raw wood. It is unlikely to be infested by raw wood pests during its international shipping. Therefore should not be regulated and restricted by the ISPM 15 rules in your international shipping. Using plastic etc packing materials in your international shipping that do not contain wood, makes your international ocean freight shipment an exemption from ISPM 15 rules. Plastic pallets cases and crates of different sizes and forms for the international ocean freight shipping are widely available on the market. Also note that the ISPM 15 regulations in international shipping using ocean freight services fall down into two key areas: the international shipping itself and international shipping documents that must be submitted to the ocean freight. What types and forms and how many documents are required exactly for your international ocean freight shipment varies from country to country. 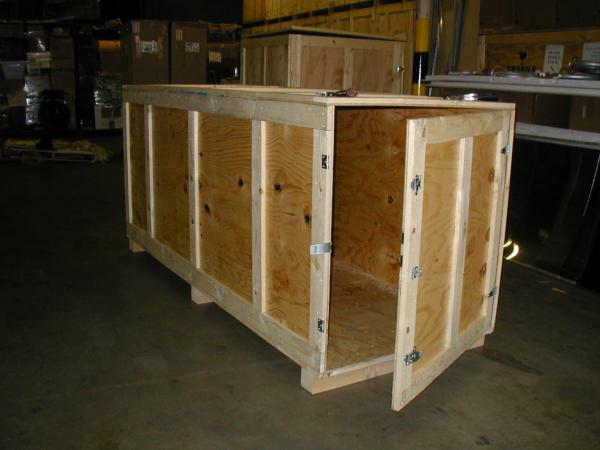 If you hire a professional packing company, an international moving company or an international ocean freight carrier's shipping terminal palletizes your boxes, then parties that take care of your cargo should be aware of and comply with the ISPM 15 regulations on your international ocean freight shipment.